SEOUL, Sept. 14 (Yonhap) -- A South Korean government think tank on Friday called for "customized" development of North Korea's economy in the process of inter-Korean economic cooperation, saying information and communications technology (ICT) is suitable for Pyongyang, the North's capital. 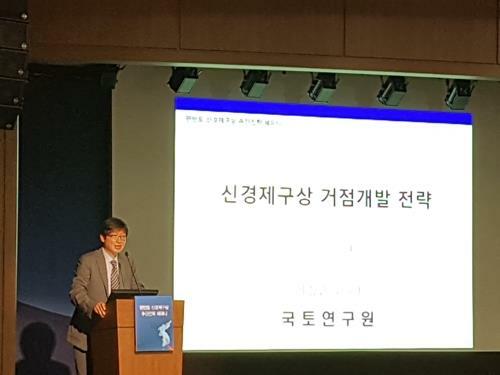 Lee Sang-jun, deputy head of the state-funded Korea Research Institute for Human Settlements, said North Korea's capital area, including Nampo, is an ideal ground for the development of new ICT-based industries. He also proposed fostering Haeju on the western coast and Wonsan on the eastern coast into international tourism cities. Lee unveiled the blueprint for the North Korean economy at a seminar on the direction of inter-Korean economic exchanges, which was jointly organized by the Korea Institute for National Unification and Korea Land & Housing Corp.
"Considering the potential capabilities of South and North Korea and changes in global trends, inter-Korean cooperation in entertainment, medical tourism, state-of-the-art technologies and applications can produce new growth momentum," Lee said. In this regard, he suggested three strongholds in North Korea for economic development. "The Pyongyang-Nampo area has suitable location conditions for digital industry, while health or tourism industries can be recommended for Haeju on the western coast and Wonsan on the eastern coast," he explained. "It is important for South Korea to help the North raise its financial resources to develop its economic strongholds," Lee said.